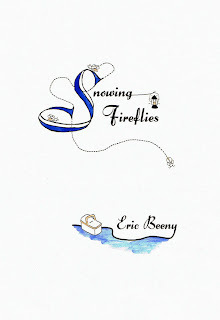 Eric Beeny's Snowing Fireflies, a gorgeous chapbook produced by the amazing folks at Folded Word, is now available for pre-order. Oh yes. YES YES. Fill your summer with glorious fireflies. DO. GINORMOUS congrats to those selected, and to the shortlist of finalists. Hot damn. Go Team Rohan! Dark Sky Magazine's Chapbook Contest. Prick of the Spindle's Youth Drama Competition. xTx really wants your inner Zombie. Congratulations to Eric. And thanks for the love, Mel. I'm still a little stunned, but happy. Happy. Congratulations to you, too Ethel! How awesome is that?!? Thanks for the Dark Sky reminder - you're the man.